GNY347K (1971) Leyland 550FG . Sparshatt B-F. Ex-South Wales Police . Seen 1988 Swindon . 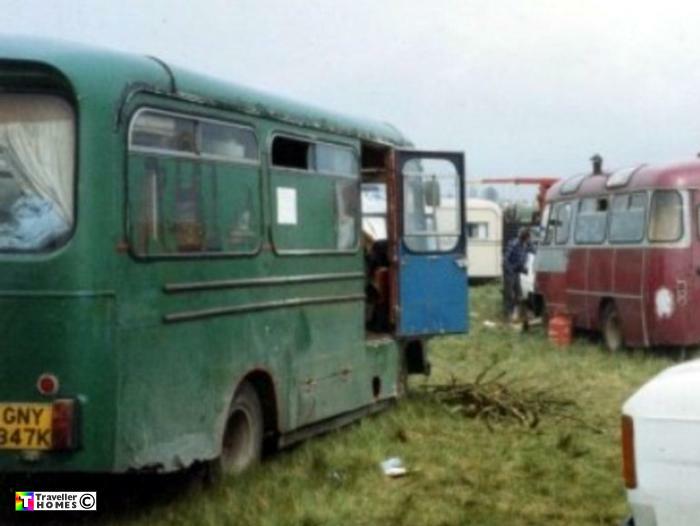 Lived in by Nick , Colin & Anthony , known collectively as the 'bus boys' it eventually died a slow death at the 'bog field' at Cool Mountain in West Cork . Photo = Rags .